Fans shouldn’t be hard on each other for being critical of certain aspects of our favorite franchise. Just because you recognize a few blemishes in your favorite film, TV series, book, or comic doesn’t mean you love it any less than others. It should be okay for me, for example, to say that I think that Rogue One, a film I love dearly, handled Saw Gerrera poorly by oversimplifying him in writing and performance (don’t get me started on how much I don’t like Bor Gullet, haha). While others might see a great character who exemplifies someone destroyed mentally and physically by his crusade, I saw a caricature with (mostly) weak dialogue and overacting from Forest Whitaker. The performance didn’t sell me, and Gareth Edwards’s previous interpretation of the character (which we glimpsed in the first Rogue One teaser) intrigued me more. Please note that this is not a dig at the reshoots (criticism of which, in my opinion, is mostly filled with hot air), which are normal for most films, but a criticism of the creative process going into this particular character. I don’t dislike Rogue One as a whole because of Saw Gerrera—I still love it for its amazing characters, its fantastic action, and how it enriched the story we saw in Revenge of the Sith, A New Hope, and the entire saga. As a critical fan, I hope Lucasfilm learns how to better portray Saw and extremist Rebels like him in future content (which I feel they certainly have done in Star Wars Rebels, though I admittedly still dislike the character). Kathleen Kennedy once said “I don’t think there’s anything more important in the Star Wars universe than the fans.” I believe Lucasfilm, more than any other production company, recognizes the deep passion and enthusiasm fans have for its properties, and genuinely seeks to make the best possible content fans and critics will love. Overall, there is no sense of complacency for the directors, writers, production team, Story Group, or others who recognize that storytelling is dynamic and ever evolving. They never settle for “good”—they always aim for “great” and beyond. In that process, as any hard working storyteller would be, they are self-critical, and, I genuinely believe, receptive to hearing out fans’ genuine, thoughtful, and respectful criticisms as well. The problem is that with so many voices on social media that are critical in the worst ways possible (exhibiting sexism or racism, bullying or gatekeeping), some of these constructively critical voices may be drowned out. The negativity in this sphere can be overwhelming to the point that the reflexive reaction to critical comments made in good spirit can be that they’re negative for no good reason. Critics can be fans too, wanting a property to be the very best it can be. With social media and the blogosphere today there are so many ways to get your view to the creators, who, judging from their very presence on social media, are receptive to hearing out praise, discussion, and even constructive criticism as well. 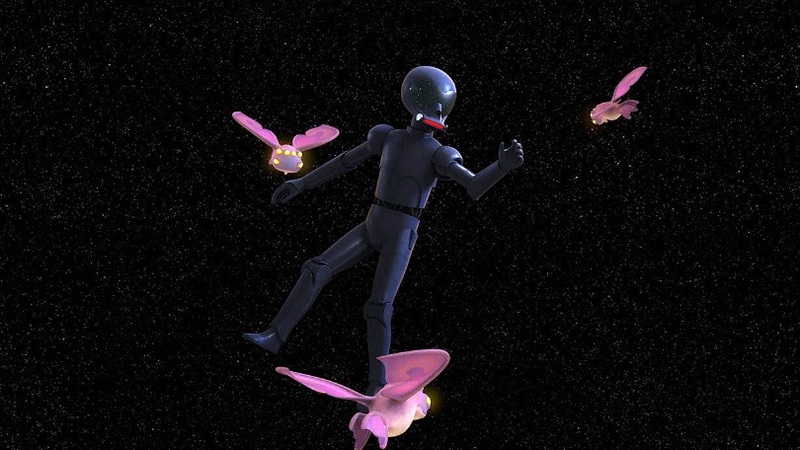 I love Rebels, but I have found certain elements, notably in the recent “Double-Agent Droid”, to be silly and illogical. I acknowledge and address what I feel the show doesn’t do well because as a fan I am interested in the creative process and how to enrich a story in conception and execution. Fans are knowledgeable too of how a creator’s experiences may inform how she goes about writing or directing a film or TV series. One criticism I, and others, have of LFL currently is the selection of Colin Trevorrow to direct Episode IX and write the script with Derek Connolly (who wrote the script for the critically panned film Monster Trucks). With the sequel trilogy as Rey’s story, I would have much preferred to see a female director or a director with a track record of treating female characters well to write and direct. I do not believe, based on the knowledge I have of Trevorrow’s record, that he fits those criteria. Many of us care a lot about Rey, and understanding the sexist track record of Hollywood, I believe this warrants concern. I don’t think the creative forces behind Episode IX would let Trevorrow do anything over the line with Rey, but it’s still disappointing that Kennedy chose a director with his history to close out Rey’s trilogy. Star Wars and Rey’s storyline deserve the best treatment possible, and Trevorrow doesn’t make the cut in the latter category in my opinion. I do hope I’m wrong, and that Kennedy genuinely found something unique in Trevorrow that made him the right person to close out Rey’s journey. I just genuinely don’t see it. No one wants to make these criticisms (unless you actually get a kick out of insulting what people love, which frankly makes you sick), but rather people have genuine feelings about how creators make their favorite property. Hearing out the fans’ voices is important, as they’re the ones consuming the project. While there certainly are some arrogant and entitled fans out there who drown themselves in negativity, the vast majority are not so. Fans who are constructively critical of Star Wars do so because they love Star Wars, and want to see it as the genuine best it can be, so that as many people can enjoy it as possible. But should we just accept what Lucasfilm might give us whether critics like it or not? If you love the franchise so much that you’ll buy what most other people deem bad, that’s more than fine! No one should judge you for what you may or may not like—it is entirely your prerogative. However, if you want Lucasfilm and the Star Wars saga to remain a top-tier financial and culturally revered force, it is also important to consider how it can be the best product for everyone. We should want Star Wars to stay on top of its game so that it will continue to be one of the most critically praised franchises of all time, one which our non-fanatic friends, family, and others might enjoy as well. While “great” storytelling is subjective, Star Wars has mostly been producing just that, and I believe fans have a role in helping to keep it that way. If you’d like to hear more from me, listen to me and my friend Stephen Kent’s podcast, Beltway Banthas, the Star Wars and politics podcast! For more of my ramblings on Star Wars, politics, and random musings, follow @SwaraSalih1 and @BeltwayBanthas on Twitter! For example, your criticisms of Saw Gerrera’s portrayal are results based–he’s oversimplified and a caricature. You and I could have a conversation about ways Saw could have been portrayed better, as well as in what aspects his portrayal does succeed. On the other hand, when someone says, “Disney is pandering to women and minorities and ignoring white guys,” they’re attacking an assumed intent. This is problematic because (1) it makes a leap in logic, unless someone from Disney has said that verbatim; and (2) it side-steps the results based version of this critique: “Rogue One and The Force Awakens would be better if they featured more white guys”–probably because saying that explicitly is absurd. There might be legitimate intent-based critiques out there, but I struggle to think one–particularly one that isn’t clearer when phrased as a results-based critique. Totally! There are different nuances to criticism we should be cognizant of. That just makes for a richer discussion! I think the medium of communication drives a lot of negativity in fan criticism, as well. Text is already a difficult format in which to convey nuance, a shortcoming made all the more difficult by strict character limits and “POST YOUR UNCENSORED THOUGHTS NOW!” ap design. Add in an internet culture primed for sarcasm, and it becomes easy to see why honest criticism is often conflated with the deluge of trolling and insults that is the fandom online. Not is any of this helped by the many trolls who, when called out for their poor behavior, fall back on the “sanctity of criticism” argument to defend their latest rant-do-jour. The various layers of failed communication make sorting out the reasonable and interesting criticism a chore, to be sure. You’re most welcome John, and thank you! Yeah, that’s honestly something I’ve been realizing more and more in the past couple of weeks. Online communication is hard when we have so many different perspectives and ways of expressing ourselves. Twitter definitely doesn’t help in that regard lol. I think as long as we’re deliberate and clear in how we want to make our point to others, I think we can hopefully get there.